One of the main problems that our nation faces today is illiteracy. There is a wide gender disparity in the literacy rate in India: effective literacy rates (age 7 and above) in 2011 were 82.14% for men and 65.46% for women. This is a bad statistic. For a nation that churns out lakhs of engineers and doctors every year, this is shocking. Education should be as important as breathing. Most of us will agree that an educated person gets better opportunities in life. It is easier for him or her to become successful and realize their dreams as compared to someone who is uneducated. Other than success and economic prosperity, there are various other reasons why education is really necessary in today’s world. One of the other reasons why India is not the number one country is because of their religious beliefs and superstitions. They are baseless and affect life negatively. More often than not it is the uneducated who stick on to such beliefs as they do not know how it works elsewhere. Education for everyone would be the first and the best way to combat these beliefs. With education comes reasoning and logic. No superstition can hold a candle to that. Illiteracy gives way to ignorance and ignorance is dangerous when it comes to heath care. Educated people would be aware of their body and the preventive methods to protect themselves from a number of diseases. But an uneducated person would ignore the symptoms of a disease or try to use herbs and roots to get relieved of their ailment. This further aggravates the issue and might even lead to death. Understanding the human body and its shortcomings is something only education can offer. Education majorly affects our understanding of the difference between right and wrong. An educated person is well aware of the consequences of wrong or illegal actions and he is less likely to get influenced and do something which is not legally or morally right. Most of the uneducated people live a life of poverty and hence turn to illegal ways of making money thus increasing the crime rate of the country. We need to do something to solve this issue of illiteracy in our country. Every child deserves the right to study and become a better person. 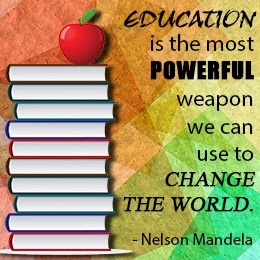 If every one of us try to do something for this, then together we can achieve a 100% literate nation. One such story is that of Ajeet Singh, who started a school for the children of Varanasi. Since the infrastructure of the place did not allow him to construct a school for the kids, he began schooling them on a boat. This keeps the children off the streets and helps them learn more about everything. This boat school has turned out to be a magical transformation by providing the children with an ideal learning environment. The school even offers scholarships for the students who cannot to afford to pay the fees or buy books. The kids enjoy the learning experience and will grow up to only do right. This is the Journey of Doing Right for a normal citizen like Ajeet Singh. We all can help him in his journey by making a contribution, small or big to the Varanasi boat school. Let us all join our hands together in giving the children of the Ganga the education that they deserve. Basically I agree with you, but education doesn't guarantee someone will "do right". However, education is almost as necessary as food and water and it should be the responsibility of everyone to ensure that everyone has the opportunity to become educated. I agree. But it will help understand the difference between right and wrong. Boat school! That's a marvelous concept. Literacy and education help a great deal, yes. But what we know about many of the rural areas contradicts this. There are still parents reluctant to send their children to school, especially daughters. Even a lot of schemes involving "free schooling" etc hasn't changed this mindset. The parents need to be educated first.